An exciting collaborative research project has uncovered a promising new leukemia treatment in an eye drop already being developed to battle retinal neovascular disease. The research revealed the eye-drops, still in a pre-clinical stage of development, target the same gene that could inhibit the progression of this aggressive blood cancer. The research originated with an investigation into uncovering a genetic vulnerability in acute myeloid leukemia (AML). It was discovered that this life-threatening form of blood cancer demands the activity of a gene called SRPK1 to proliferate. When SRPK1 is inhibited, so was the growth of AML cells. In an interesting example of cross-collaboration the researchers discovered that a biotech company called Exonate was already working on an SRPK1 inhibitor. 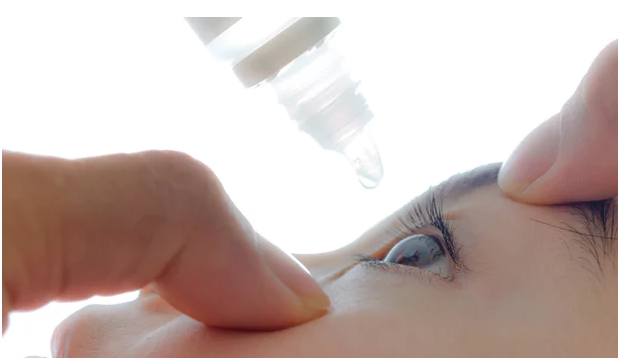 The company had, for some time, been looking into developing new drugs for a variety of retinal vascular diseases, and was quite progressed with a new eye drop treatment that coincidentally works by inhibiting SRPK1. "We have discovered that inhibiting a key gene with a compound being developed for an eye condition can stop the growth of an aggressive form of acute myeloid leukemia without harming healthy cells," says George Vassiliou, joint leader of the research team.The scientists subsequently collaborated on a series of animal experiments to discover that the compound, initially conceived as an eye treatment, was strikingly effective in inhibiting the growth of cancer cells. "When Dr Vassiliou told me that SRPK1 was required for the survival of a form of AML, I immediately wanted to work with him to find out if our inhibitors could actually stop the leukemia cells growing," explains David Bates, co-founder of Exonate.The Exonate eye drops were still at a pre-clinical stage of development when the additional uses were discovered, so no human trials into safety or efficacy have yet been conducted. The eye treatment is expected to move into human clinical trials around 2020, but more work is still needed to explore dosage and delivery in terms of a cancer treatment.The researchers are optimistic that, with further work, this could be a promising new treatment, not only for leukemia, but other cancers as well. Konstantinos Tzelepis, joint lead author on the newly published research, suggests SRPK1 plays a role in the growth and progression of several other cancers, so inhibiting this general mechanism could be a generally useful treatment tool. "Our study describes a novel mechanism required for leukemia cell survival and highlights the therapeutic potential of SRPK1 inhibition in an aggressive type of AML," explains Tzelepis. "Targeting this mechanism may be effective in other cancers where BRD4 and SRPK1 play a role, such as metastatic breast cancer."